Wow things only get better in the world of virtual design. 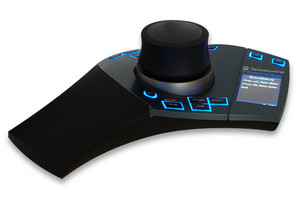 My company, PLC Systems, has just been awarded Canadian Distribution rights for the SpaceControl 3d Mouse. For those of you who are familiar with this type of controller, you can use it to manipulate your model in virtual space. I bought one to see what all the fuss was about, and now that I have used one, I would never go back to using keystrokes and mouse gestures again. The increase in productivity is astounding. Seeing as I am the Canadian distributor for these things, I can make you this amazing offer. Take one on trial, keep it for 30 days, heck try it of 60 days. If you are not convinced in the value of this device, put it back in the box and send it back to me collect! I am convinced that you will not be able to part with it. What a great design, what a great product. You can call me at 905 409 8487 to talk about it, or email me at doug.norton@plcsystems.net to.